Sun., May 28, 2017, 8:24 p.m. INDEPENDENCE, Ohio – There’s a four-headed, shot-making, scoreboard-breaking monster out West awaiting LeBron James and the Cavaliers. The Warriors are stomach-churning scary. James, though, can’t run or hide. With eight NBA Finals appearances under his belt, he is ready to face a team he’s called “a beast.” After all, he has slayed behemoths before. Pushing off any talk about the Warriors until after Sunday’s practice, James was asked to assess the task at hand: beating Golden State’s All-Star-studded lineup of Kevin Durant, Stephen Curry, Klay Thompson and Draymond Green in the Finals, which begin Thursday. Is this the biggest challenge of his career? And then, almost as if he was trying to remind himself that he’s got three championship rings and is frightful in his own right, James recalled other fearsome postseason opponents – San Antonio and Boston. “I’ve played against four Hall of Famers as well, too, with Manu (Ginobili), Kawhi (Leonard), Tony (Parker) and Timmy D (Tim Duncan) on the same team,” said James, occasionally sniffling as he continues to fight a cold. “And if you add Pop (coach Gregg Popovich) in there, that’s five Hall of Famers. So, it’s going to be very challenging. Those guys are going to challenge me, they’re going to challenge our ballclub. James also took on a Celtics team loaded with big-name talents. Cleveland-Golden State 3.0 is the matchup fans worldwide expected and wanted, and James believes they’re in for quite a show. Both the Cavaliers and Warriors have upgraded their rosters from a year ago, when they went seven games in an epic series that spawned the first comeback from a 3-1 deficit in Finals history and resulted in Cleveland winning its first pro sports championship since 1964. That Warriors team James conquered in 2016 won 73 games during the regular season and was being mentioned as one of the best to ever take the floor. Hard to believe, but this version – with Durant – might be even better. Golden State has been putting on a basketball clinic over the past two months, winning 27 of 28 games since March 11 and becoming the first squad to start the postseason 12-0. Durant, who previously faced James in the 2012 Finals with Oklahoma City, has taken a great team and elevated it to a nearly unstoppable level. The Warriors are using Durant in every imaginable way on offense, and James isn’t surprised to see his good friend and Olympic teammate more mobile than he was with the Thunder. 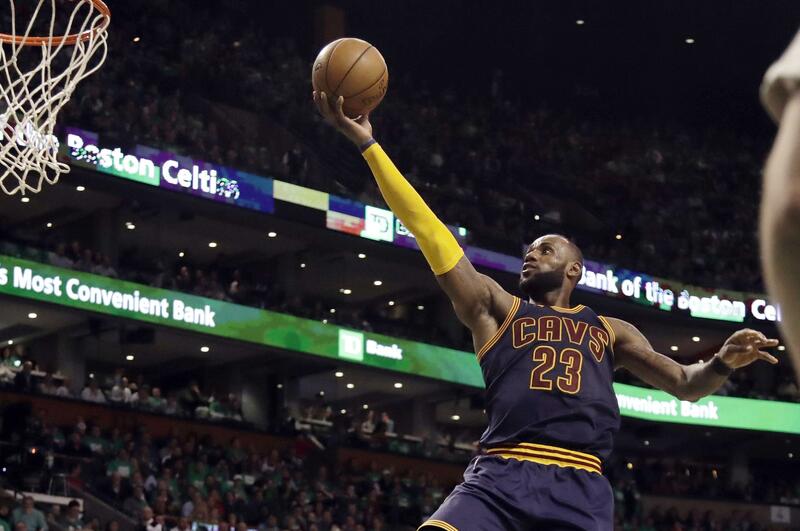 On the brink of becoming the first player since the early 1960s to play in seven straight Finals, James finds himself in a similar – and somewhat surprising – situation. The Cavaliers are being given little chance to defend their title against the vaunted Warriors, who have been winning by an average of 16.3 points per game in the playoffs. For the sixth time, James enters the Finals as an underdog, hardly a role he’s accustomed to before June. The only time he won a championship as a Finals favorite was with Miami in 2013, when the Heat upended the Spurs for their second straight title. James isn’t worried about point spreads or any odds. “I only play blackjack in Vegas anyway, so it doesn’t matter,” he said. What does matter is that the 32-year-old is having one of his finest postseasons, and the Cavs are jelling the way they did at this time last year. Maybe James has nothing to fear. Published: May 28, 2017, 8:24 p.m.